Tennis sessions for people with Down’s syndrome have been successfully launched in Shropshire. An initiative of DSActive, which delivers sport for people with Down’s syndrome across England and Wales, the sessions at Telford Tennis Centre are supported by Tennis Shropshire and also held in conjunction with the Tennis Foundation and Energize Shropshire, Telford & Wrekin. Open to all ages, organisers were encouraged with the turn out for last weekend’s opening taster session and anticipate that numbers will grow for the weekly classes which will take place each Wednesday evening between 6-7pm. Bob Kerr, the chairman of Tennis Shropshire, said: “The introductory taster session went very well and the indication from the participants, who also also enjoyed strawberries and cream, was that they would bring additional people with them to the weekly sessions moving forward. “It’s for six weeks initially but the aim is to make it a regular fixture each week. 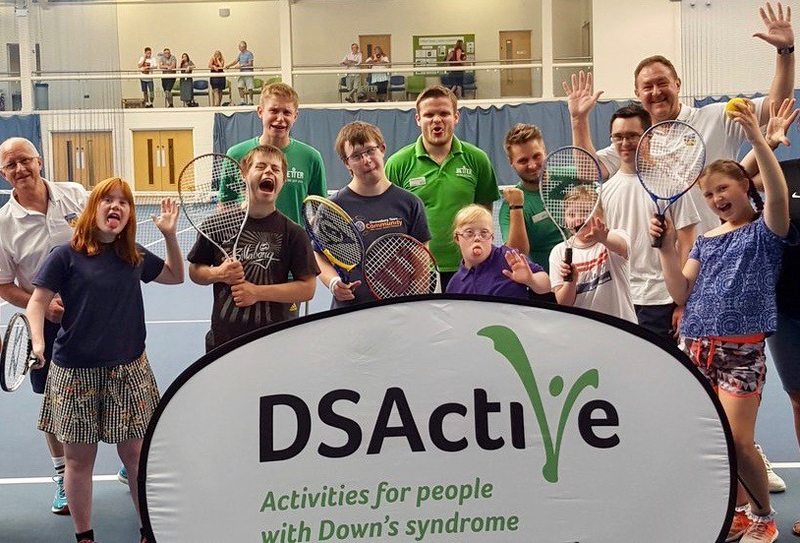 “Tennis Shropshire was approached by the Down’s Syndrome Society a few months ago as they are keen to replicate here what’s been done successfully in other parts of the country. “They’ve introduced tennis and football clubs in other areas and have recognised the opportunity to do something similar in the county. “We readily agreed and they have a data base of about 1,000 people within a 20 mile radius of Telford. DSActive currently run more than 40 football sessions and 20 tennis programmes in England and Wales.